Detached modern four bedroom villa with spectacular views & use of three community pools including one indoor. Free wifi. Monte Verde is a development of modern detached villas, some with private pools and apartments. In a quiet location with spectacular views across the famous La Manga Club Resort, residents have the use of three community pools, two outdoor and one indoor. This four bedroom detached villa has private terraces with barbecue and outdoor dining facilities and the use of three community pools, one indoor. It is well furnished and equipped. There is free wifi internet access. The entrance hall leads the open plan living room and dining room which has satellite TV, DVD player and patio doors to the terrace with barbeque and outdoor dining facilities. From the terrace, stairs lead up to the private roof terrace which has spectacular views. The kitchen is fully equipped with a washing machine, tumble dryer, dish washer, microwave, oven, hob and extractor fan and fridge freezer. There is also a cloakroom on the ground floor. There are stairs from the hall down to the four air conditioned bedrooms. The master bedroom has a double bed, an en-suite full bathroom, additional walk-in shower and twin wash basins, there are patio doors to a juliet balcony. Bedroom two has twin beds, an en-suite shower room and patio doors to a juliet balcony. Bedrooms three and four both have twin beds and share use of the additional shower room. Detached villa in La Manga Club Resort, fully air conditioned. Private terraces and barbecue facilities. 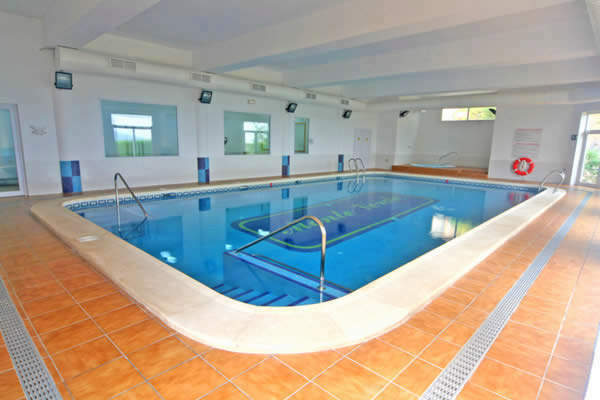 Has the use of three community swimming pools, one of which is indoor. Professionally managed in the resort, the keys to the property can be collected 24 hours a day. Prices include linen, towels including complimentary pool towels, Resort Discount Card and a grocery welcome pack*.